01. 悲情城市《序曲》 2'18" 01. 悲情城市 ～A CITY OF SADNESS～ 7'39"
02. 寬美之主題1 0'48" 02. HIROMI ～Flute Solo～ 0'33"
03. 流逝的歲月 3'01" 03. 文清のテーマ 5'24"
05. 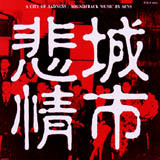 悲情城市《胡琴篇》 0'58" 05. HIROMIのテーマ 6'23"
06. 文清之主題 5'27" 06. 悲情城市 Variation 2 3'13"
07. 悲情城市《主題曲》 4'39" 07. 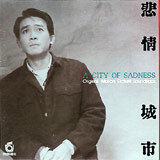 凜 ～Dedicated to Hou Hsiao-hsien～ 6'26"
All tracks were recorded from August, 1989 to February, 1990.